Do you have a medical bill issue that you are struggling to resolve? Do you have a loved one that needs special care? Have you been diagnosed with a health condition and need to find a specialist? At some point in our lives, we will all need to navigate the complex healthcare system. To help, we are pleased to announce a new healthcare help service being offered to our members at a special rate. Help With Medical & Medical Insurance Billing HeadachesHealth Proponent® is a service that offers trusted, personalized assistance to help resolve a variety of healthcare- and insurance-related issues such as locating providers and addressing billing matters. Health Proponent is the consumer division of Health Advocate, the nation’s leading independent healthcare advocacy and assistance company. They provide access to your own Personal Health Advocate supported by a team of medical directors and benefits experts. They help individuals and their families get access to the healthcare they need, resolve burdensome issues and lower medical costs. They'll also locate the right hospitals, dentists and other leading healthcare providers anywhere in the U.S. They can help expedite the earliest appointments with providers including hard-to-reach specialists and arrange treatments and tests. Their experts get to the bottom of your issue to assist with negotiating billing and payment arrangements. They address senior issues such as Medicare and related healthcare issues facing your parents and parents-in-law. 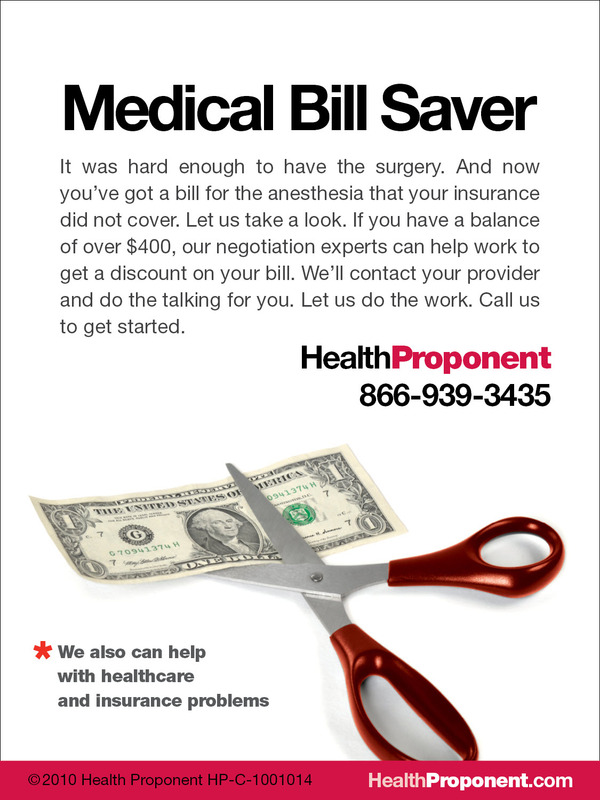 You'll receive comparable costs of common medical procedures in your area to help you make informed decisions. Their team works on your behalf to obtain appropriate approvals for needed services. They help you become informed about test results, treatments and medications prescribed by your physician. They'll also handle the details of transferring X-rays and lab results.